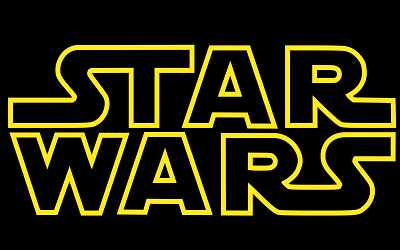 Star Wars: Episode VIII will now hit theaters on December 15th, 2017. Star Wars: The Force Awakens has been one of the most profitable films in history. Along with being a financial triumph, it was also one heck of a movie, revitalizing Star Wars and reinvigorating fans in a way not seen in years. It goes without saying, in turn, that there are plenty of people excited to find out what happens next in the new trilogy. Unfortunately, a new announcement has confirmed that film-goers will have to wait a bit longer than expected to see the next chapter in the series. According to a statement from Disney and Lucasfilm, Star Wars: Episode VIII, originally intended to release in May 2017, will now be hitting theaters on December 15th. While no reason was given for the new release date, Disney did make sure to highlight the continued success of The Force Awakens. As of today, the movie has earned more than 861 million dollars in the United States and 1.8 billion worldwide. While Episode VIII's postponement is obviously disappointing, we're going to go ahead and assume that it will ultimately be for the best. Part of what The Force Awakens so enjoyable was the clear level of effort the studio put in to creating an authentic feeling Star Wars film. If writer/director Rian Johnson and the rest of the crew need more time do the same with the sequel, we say go ahead and give it to them. I wouldn't be surprised if it was purely a business decision with Disney wanting to have a big draw available for the Christmas season in 2017. The same thing happened with The Force Awakens, it was originally slated for a May release, but Disney didn't want to compete against themselves by releasing Avengers Age of Ultron and Star Wars so close together, and didn't have a big blockbuster slated for the Christmas season, so Star Wars got pushed back to December. Whether this translates to actual extra time in developing the film, who knows, it could just wind up sitting on a shelf completed for six months waiting for the opportune release date. While Episode VIII's postponement is obviously disappointing, we're going to go ahead and assume that it will ultimately be for the best. Part of what The Force Awakens so enjoyable was the clear level of effort the studio put in to creating an authentic feeling Star Wars film. Honestly, I'm more interested in Rogue One at this point. Huh. I was expecting this to be saying they couldn't release it in 2017, thereby screwing up the yearly release plans. This, though...doesn't really surprise me. Why? Because Disney has, through Marvel, another big movie planned for May of 2017. Which movie, you may ask? Guardians of the Galaxy, Volume 2. I think they feared that releasing these two movies in too close proximity could cancel each other out, especially since while GotG has a much lighter tone to it compared to TFA, both are very sci-fi/fantasy, so this is probably for the best. I was, until I learned that Poe was the protagonist. How disappointing. I'm just curious what the next trilogy will look like, once they've milked this one for all its worth. They have to do something original eventually, right? I assume they did so well at the pre-Christmas launch, they want that slot again. Why compete in summer when you can do that? I thought Rogue One was going to be set before ANH detailing how the Rebels got the Death Star plans, I don't see how Poe can be involved in events that occurred before he was born. I heard it was set before episode 7, but hopefully you're right. I'd love a solid Rogue movie, especially one that doesn't focus on the Jedi at all. It would be a nice change. The Summer blockbuster is dead. Movies can be profitable anytime of year, as long as the marketing campaign is strong enough. So why bother releasing in the later spring/summer time when its competing with all the other big budget spectacles? Wait, where did you hear that? Haven't found anything claiming that myself, and I'm not sure how that would even work timeline-wise, since Rogue One occurs in 0BBY, whereas The Force Awakens occurs over three decades after A New Hope. If he was in Rogue One as anything but an infant, well, he'd have to be the youngest looking fifty/sixty-something year old in the galaxy. Edit: See someone's addressed it. But yes, Rogue One takes place as a prequel to A New Hope, likely ending a matter of days or even hours before the film begins (getting the Death Star plans to Leia). If anything, Felicity Jones's character seems to be the main protagonist. Hmm, no, I suppose you're right. I guess it does take place before A New Hope. That's good to hear. That said, it would be pretty funny to watch a movie about an x-wing flying baby. Oh, wait, that basically already happened. I take it back. Kinda gratified to know I'm not the only one with this opinion. All of my friends and family look at me like I've got two heads when I tell them I only thought the film was alright. None of them can disagree with my criticisms, mind, they just say that it's an awesome movie regardless. I wonder if opinion will shift once the shine of new Star Wars wears off in a couple of years. Oh, good. It was nice to have the media obsess about something other than Christmas in December. So the release delay is no surprise at all. 18 months is an insanely short production time (yes, they undoubtedly have done some pre-production over the past year, but the schedule is still incredibly short), especially for moves like these that need to look very good. I think the relative lack of vehicles in the Force Awakens (only one rebel, sorry Resistance, fighter, only 1 tie fighter, one 1 capital ship of any sort, etc) was largely do to the incredibly short production schedule for that movie. AAA films really take 3 years to produce, but I guess that's not profitable given how many studios want to beat that schedule. Much more alarming in the story rewrite. If it really is intended to put more Rey, Finn, and Poe in the movie, then my only response is 'why the hell were those characters staring in Ep. VII if they weren't intended to be central to the new trilogy?!' It kinda seems like disney either (1) had relatively little faith in the new characters and was hedging their bets by minimizing them in Ep VIII, or (2) has absolutely no idea what it is doing and is just flailing around throwing spaghetti at a wall hoping it sticks. All that said, many great movies have come out of horribly messed-up productions, so it's too early to start predicting doom. Was surprised when the new date wasn't the date in the first place. As it was, only a year and a half between 7 & 8? Half a year between Rouge One and 8? I'd have had no objections, but it did seem surprisingly soon. That's fine with me honestly. Let TFA Breath a little. In fact let the franchise breath. Marvel works because at its core it's kind of an interconnected soap opera. Star Wars is an Epic of sorts and should take some time to let moments land and let things happen. Starwars is also not one of those franchises that needs a million characters like marvel, so they can take their time and really flesh out a cool and interesting story if they wanted too. Seeing how it isn't going to be a yearly films like LotR, I'm ok with this. To be honest, speaking personally, I actually think TFA will actually go up in time. Whether it deserves it is another matter, because a lot of its issues of plot and setting repetition will likely fade away provided that later episodes branch out. I can't deny that it's a very well shot, well acted, well crafted film, it's just that the plot itself and reliance on ANH lets it down. But it's why I rank it above TPM for instance - TPM has better ideas, TFA has better execution. In the end, execution wins. Purely a move to grab more money. Disney has shown it's expert at milking properties dry. I'm both mildly disappointed and mildly pleased. Having it during the holidays was kind of neat, so I'm fine with this. Really? Is this where we're at? We're announcing delays for products that are over a year and a half away? I'm okay with them following a similar format of the next movie ending on a lower note - with the villains having a clear victory. I just hope they don't follow the trend of it being a point by point remake as 7 felt for New Hope. I loved the movie, sure. But it was damn near a remake.